EDIT (2015-06-04): Originally posted 06 OCT 2011. Revised, reworked, reposted in light of a brand new version of Korvac in 2015’s Marvel HeroClix AVENGERS ASSEMBLE set. 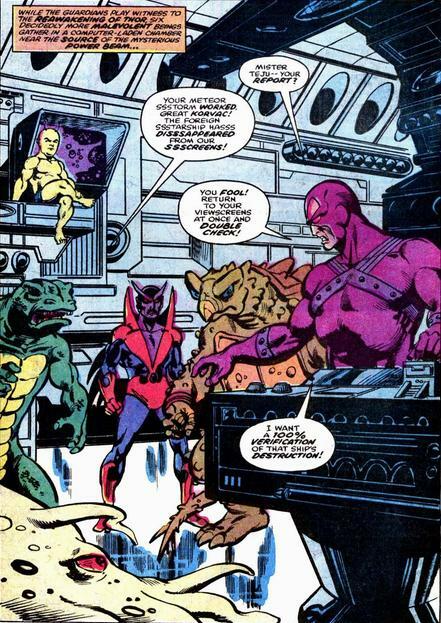 In the alternate timeline that produced Korvac, he was a human collaborator to the alien race, the Badoon. The Badoon turned him into a cyborg, and his original tech allowed him to tap into and siphon various forms of energy. On the run through space/time following the defeat of his “Minions of Menace” by the Guardians of the Galaxy (his his timeline), Korvac ends up in the “mainstream Marvel Universe”, stumbles across one of Galactus’ worldships. 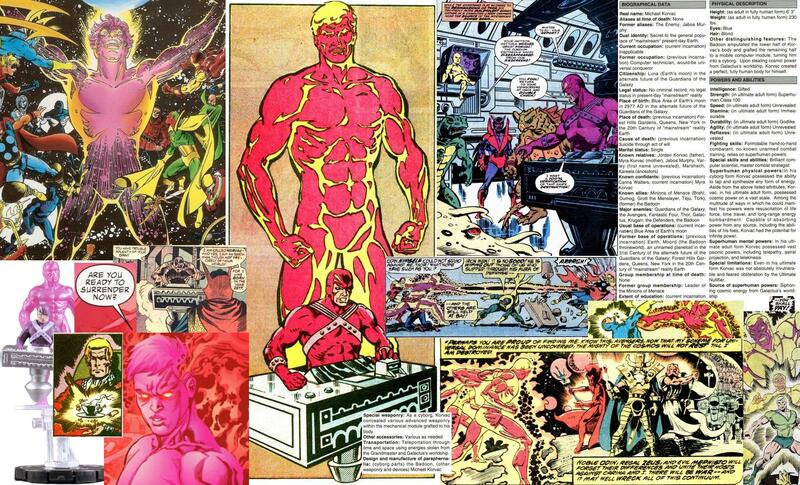 He attempts to download information and absorb energy in order to evolve himself more, and goes from cyborg to Power Cosmic “purple energy guy”. 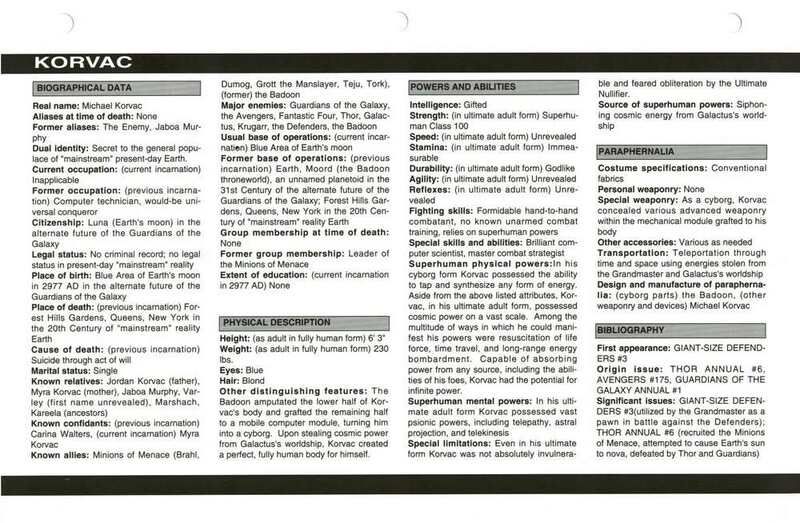 HeroClix: The first version we got was from one of the last of the “pre-Character Card/REV-U Era” sets, SUPERNOVA, in 2006. 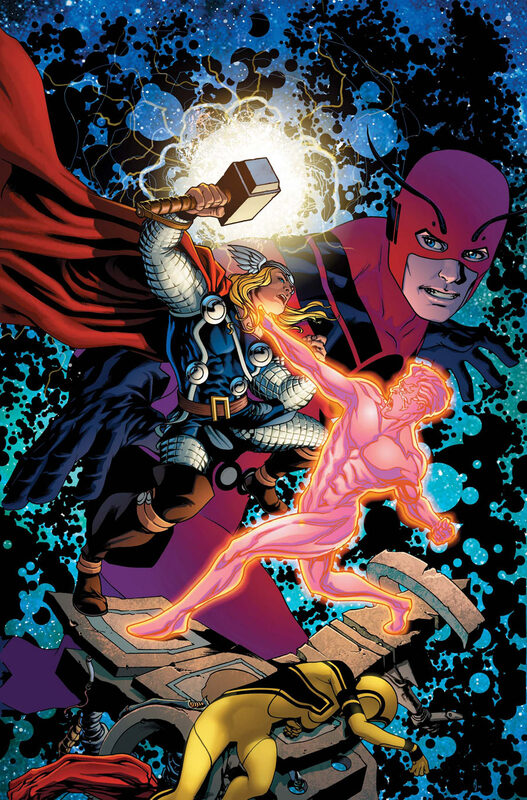 The sculpt was straight out of ye olde “Official Handbook of the Marvel Universe Deluxe Edition”, and showed both his original cyborg form and his “evolved” energy form. 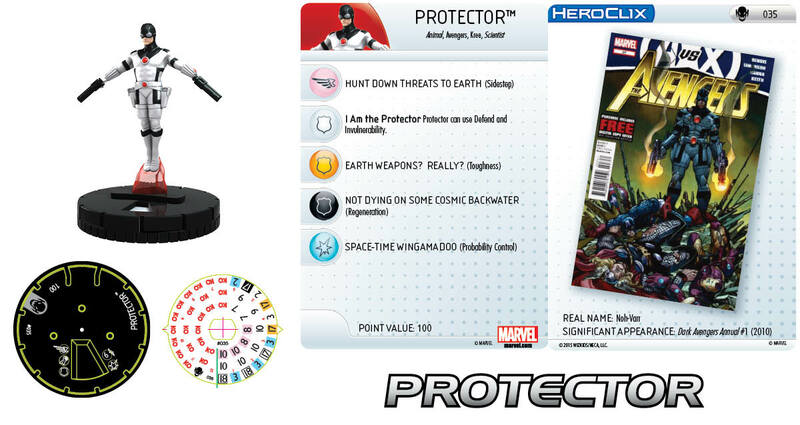 It’s kinda funny then that his “second incarnation” in HeroClix from 2015’s “Character Card and Special Powers Era” AVENGERS ASSEMBLE set has a dial that better represents the first one’s sculpt; the first three clicks of life are clearly “cyborg Korvac”, with a defense slot “stop click” special power to represent his “Power Cosmic” transformation. It almost makes me want to do a “sculpt swap”. Almost. Anyway, it’s always enlightening to read the comments about a clix in either the HCRealms’ UNITS section, or in one of the HCR articles (like the AVENGERS ASSEMBLE “Primers”). Both have received mixed responses. Most of those complaints revolve around a lack of opening “move and attack” powers, especially considering how “expensive” they are. Consensus is they would both be better in 400-point of higher force builds. The 2015 AVAS Korvac is seen as better than the older 2006 SNV version. 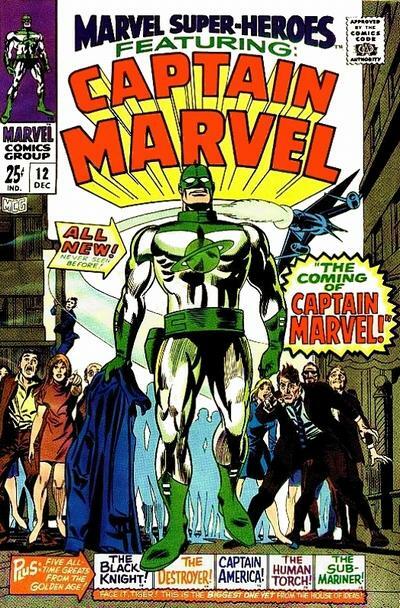 I suspect that in those high-point games, SUPERNOVA #092 Korvac did a lot of “loitering air support”; while the tougher, heavier-hitters were engaged, he’d skirt the battlefield with his Phasing/Teleport and 8 range, and snipe at any opportunity. PROS: Power Cosmic team ability; keyword selection; power selection and arrangement. CONS: Odd stat fluctuations. Obviously relying of the PC TA, both for the Outwit protection and the push-avoidance, but will need to push sometimes. 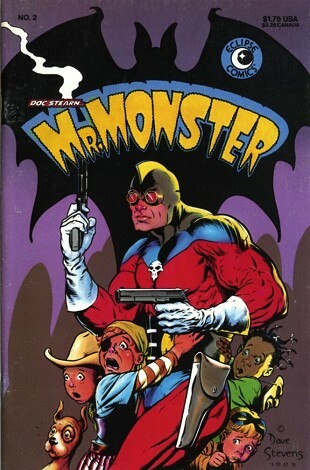 Not sure this really represents the character, as in the comics he was another one of those “reality-altering” type of insanely powerful characters. Tested some homemade traits for him where I hard-wired some Battlefield Condition effects into him. Little timid about committing to that, though. 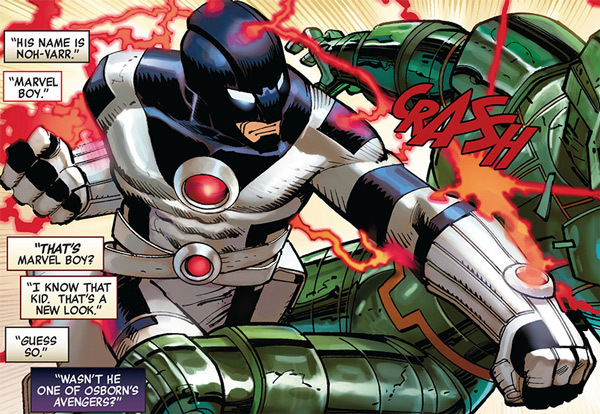 Fell back to a position where “This dial more represents his early cyborg form, powerful but still vulnerable”, and went with enhancing his “leadership role”. Homemade Trait: “Space/Time/Energy Manipulation” If Korvac is the highest point character on a force, he may use these abilities this game: Korvac may use Perplex, but only to target friendly characters. 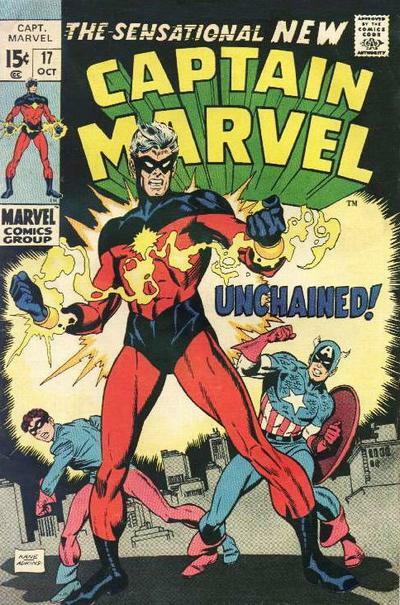 At the beginning of your turn, you may give Korvac a free action and choose a friendly character 6 or fewer squares from Korvac to which he can draw a clear line of fire; place the target in a square of clear unoccupied terrain 8 or fewer squares from Korvac to which he has a clear line of fire. Tried to emulate Korvac’s matter/time/space manipulating abilities by borrowing and tweaking language from the ARKHAM ASYLUM’s version of Despero. Whether you decide to have him “rule” the Badoon or cobble together an alien band of “Intimidators”, he should be a better “tentpole” for a team, if a bit offbeat, and warranting that “Unique” silver ring..
Now, Wish-Listing stuff. 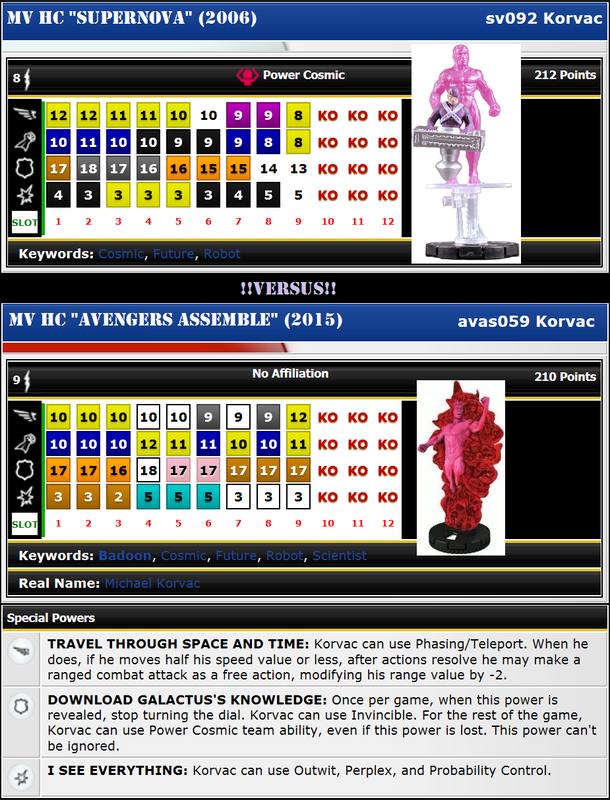 “Dear WizKids….” I would hope that if your continue to do “cosmic space/time” themed sets, that we could get more Marvel “extraterrestrial aliens” as generics. Not *simply* more Kree, and Skrulls, and Shi’ar, and Rigellians, but some of the others — Procyonites, Plodex, Sligs, Judans, Folmathi, Brood — gotta have more Brood. Hopefully just some more of the less-humanoid aliens. Each with three starting lines, for point values ranging from 15 points to 45 points, for various team builds.